I get many calls, emails, and letters asking about the ‘best’ handgun load. Unfortunately, many correspondents fail to share the intended mission of the load. This has an influence on the desired bullet weight, velocity, and penetration. As an example, I am perfectly happy to run the .44 Special or .45 Colt with a 255-grain SWC at 700 fps for cowboy action or target practice. If hiking in country in which the big cats or bears may be more than a nuisance, I will run the same bullet up to 1,000 fps. Hard cast bullets and the Colt Single Action Army offer excellent performance. This makes a big difference in recoil and penetration as well. Most of my shooting for the past 30 years has been with the .38 Special and .45 ACP. I have fired thousands of cartridges in each. I think most shooters want a useful load that is accurate, economical, and useful. Hunting loads in the .44 Magnum and .45 Colt are often running as hot as possible. I don’t need this level of power most of the time, but even a small game load must be fast enough and accurate. I have worked up a few of these loads, and I call them general purpose loads. They will do many things well and are easy on both the wrists and wallet. One example is the standard 230-grain hard cast RNL bullet in .45 ACP. A modest charge of Bullseye, Red Dot, Unique, WW231, or Titegroup is used to push this bullet at 780 fps. U.S. Military 230-grain jacketed loads are generally around 820 fps, so the lead load at sensibly less velocity isn’t hard on the gun or the shooter. I like this combination and have fired thousands, at least ten thousand or more, with excellent results. A load like this may be fired without fear of excess wear on the 1911 Government Model. 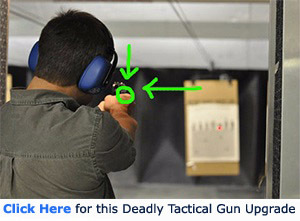 In the right handgun, it is accurate. Another general purpose load that may have an edge in accuracy uses the Hensley and Gibbs design 200-grain SWC at 890 fps. This is a fine target load that is ideal for small game. I once carried this bullet in my Commander .45 as a defense and duty load, but bumped it up to 1,000 fps. It doesn’t get any better in a relatively light handgun that hits hard. This bullet was notably more accurate than any factory load of the 1980s when I began using it. I use Oregon Trail bullets in 230-grain RNL and 200-grain SWC often, and probably load 10:1 with the RNL bullet. These handloads use a variety of bullets. A few JHP bullet loads were developed for special use. The .45 ACP is a good general purpose cartridge that is well respected by those with field experience. I also like the .45 Colt. As I have more time on my hands, I enjoy firing single action revolvers a great deal. The Oregon Trail 250-grain flat nose bullet is profoundly respected for its weight and diameter as well as penetration. A 250-grain .45 Colt bullet at 850 fps will penetrate more than a 230-grain .45 ACP at the same velocity, yet it is a middle of the road load in the revolver. Good accuracy was once harder to come by with the .45 Colt revolver, but modern CNC-machined single action revolvers are far more accurate than those of the past. I have always enjoyed firing handguns to test the limits of their accuracy potential and to see what the great guns of the past were capable of. 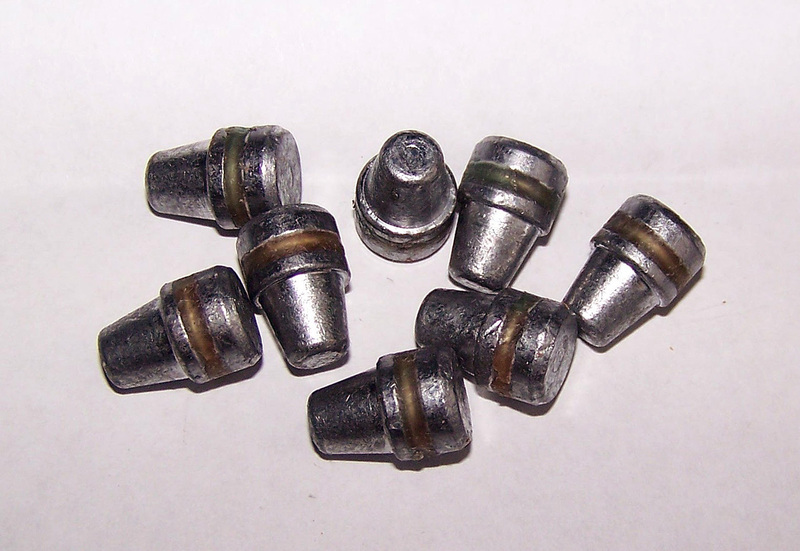 Cast bullets with the proper mix of lead, tin, and antimony have provided the vehicle to do so. Italian replicas of the Single Action Army were a Godsend to a young shooter, much as the Philippine 1911s are to another generation. The modern .45 Colt revolvers were generally delivered with a .452-inch barrel, while the .45 ACP has long been constant at .451 inch. Older single action revolvers might be .454 inch, and the throats and barrel not always well matched. Older revolvers often need softer bullets in order to slug up for accuracy. 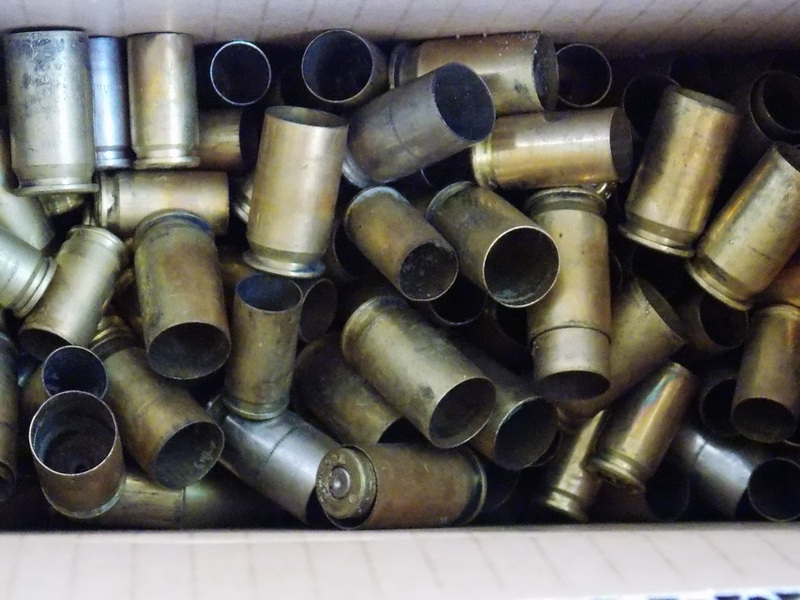 Brass is a reusable resource that makes handloading worthwhile. Cartridge cases are important and should be sorted by maker. The .45 Colt in commercial brass is usually good while the .45 ACP differs widely in strength and quality. I have seen .45 ACP brass with the primer flash hole off center. This company is now out of business, but I broke several decapping pins on this off set brass. Starline Brass is always a good bet and is of high quality and very consistent. Case mouth thickness is easily measured. Measure a bullet’s diameter, seat it in the sized case, then measure the cartridge case. The difference is divided by two and you have the thickness of the brass case. This is an interesting measurement, and over time, cases will lengthen with use and need to be trimmed. I have yet to wear out a .45 Colt cartridge case, but I have discarded many .45 ACP cases over the years. The .38 Special was the first cartridge I handloaded. It was quite a thrill to break out a rather nice Model Ten my grandfather owned and fire my own handloads. I was self-taught and read all I could on handloading. I made some miscalls to be certain, including loading factory lead swaged bullets over a powder charge recommended by Elmer Keith. A swaged lead bullet at 1,300 fps leads a barrel quickly. These bullets are high quality, properly sized, and quite accurate. I became acquainted with the Lewis Lead Remover and the advantages of cast bullets. The .38 Special is a wonderfully accurate cartridge. The single most accurate revolver I own is a Smith and Wesson Combat Masterpiece. I have fired groups of one inch for a five-shot group at 25 yards from a careful benchrest using the Bullshooter’s pistol rest. They are not all that small but with good loads the .38 Combat Masteriece is capable of 1.5 inches on demand. The most common load in this revolver is a 158-grain SWC at 850 fps. This is a good small game load and excellent for practice in .38 Special or .357 Magnum revolvers. WW 231 and Titegroup are excellent choices. By bumping the same bullet up to 1,000 fps range is extended and the .38 becomes an excellent outdoors revolver. General purpose loads will do many things well and are not highly specialized, nor do they run too hot for constant use. 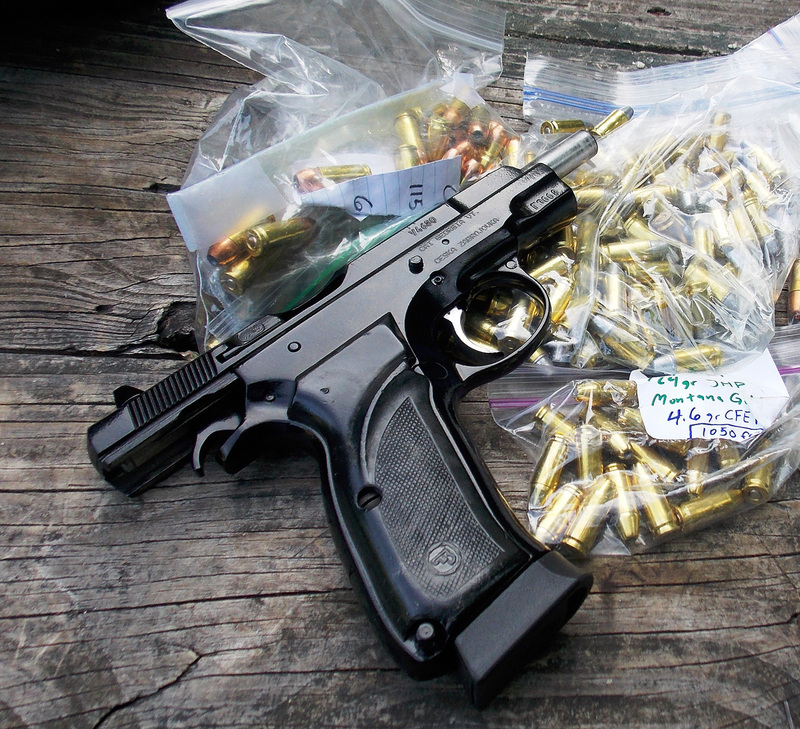 Recently, I had the occasion to work up a number of loads in an FNH FNS .40 caliber pistol. I began with the Oregon Trail 170-grain SWC and the Oregon Trail 180-grain RN. Using Power Pistol and an overall loaded length of 1.130. I worked up to 990 fps with the 180-grain bullet and excellent results. The 170-grain SWC will break 1,025 fps and would make an ideal all-around outdoors and practice load. These loads are efficient, clean burning, accurate, and economical. That is what handloads are all about. What’s your favorite handload? Which caliber and gun do you use it for? Share your answers in the comment section. Bob Campbell is a former peace officer and published author with over 40 years combined shooting and police and security experience. Bob holds a degree in Criminal Justice. Bob is the author of the books, The Handgun in Personal Defense, Holsters for Combat and Concealed Carry, The 1911 Automatic Pistol, The Gun Digest Book of Personal Protection and Home Defense, The Shooters Guide to the 1911, The Hunter and the Hunted, and The Complete Illustrated Manual of Handgun Skills. His latest book is Dealing with the Great Ammo Shortage. He is also a regular contributor to Gun Tests, American Gunsmith, Small Arms Review, Gun Digest, Concealed Carry Magazine, Knife World, Women and Guns, Handloader and other publications. Bob is well-known for his firearm testing. 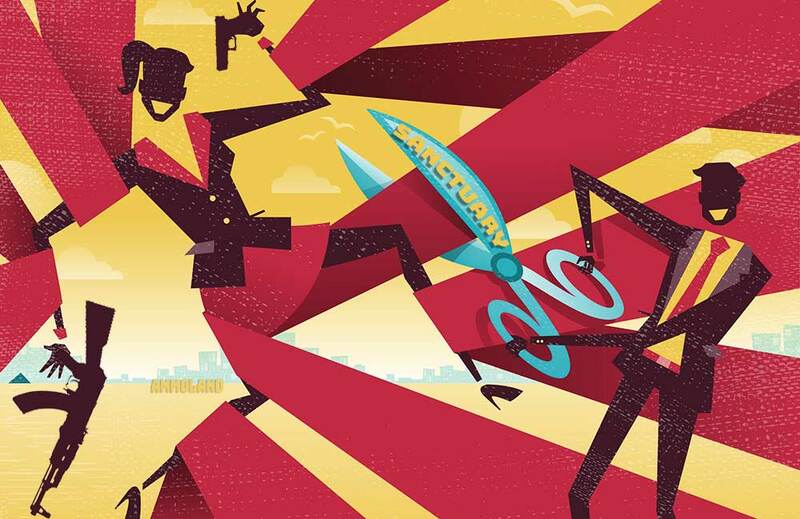 I enjoyed this article, especially because the emphasis is on practical concerns. A good general purpose load can accomplish the vast majority of tasks a gun might be called upon to perform. Over the years, I’ve shot more .45 Colt than anything else. This experience has taught me that a good 250gr cast flatpoint at 800-900 fps cuts very clean large holes in anything it hits. Recoil with this load is significant, but not on a level that is unmanageable. There are a few good powders that can work, but my personal favourite is Unique, where 8.0 – 9.0 grs will do the job. 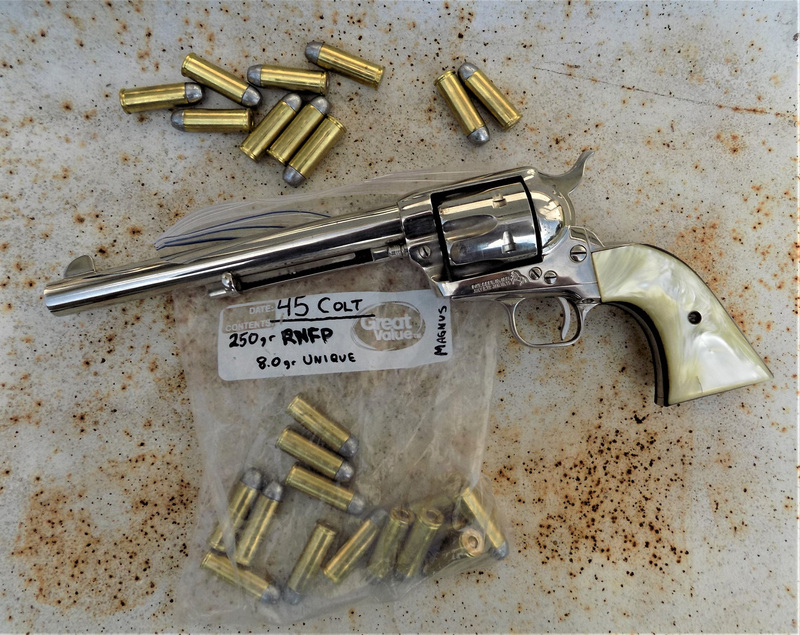 Using this load in a heavy Ruger Blackhawk results in a smile for most who give it a go, and it would dissuade most mal-intent, whether from four or two legged predators.